Discussion in 'Movies' started by Mel O'Drama, Sep 24, 2016. This gets off to a soap-tastic start: heiress Holly Harwood, whose servants include Tom Carrington and Miss Babs from Acorn Antiques, elopes with best friend Alison McKenzie's fiancee Greg Reardon, much to the disapproval of her crooked lawyer, Carter McKay -- and that's all in the first ten minutes! 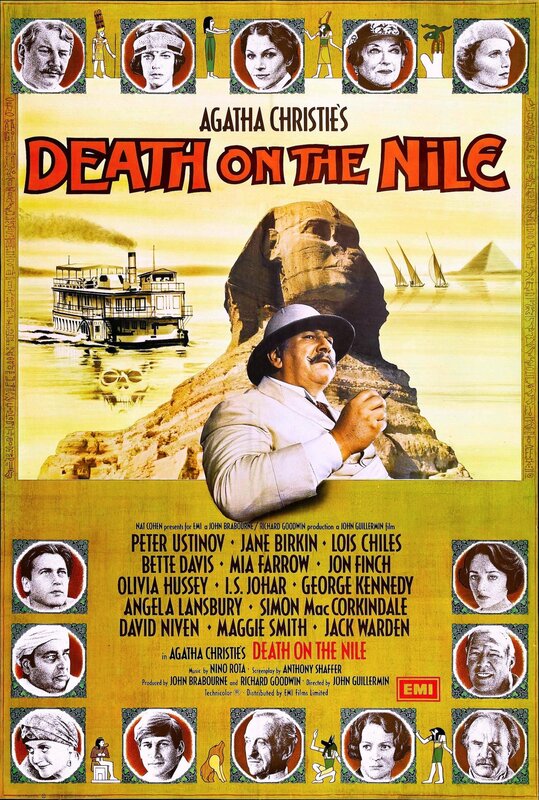 The honeymooners then take a boat down the Nile, surrounded by a dizzying array of Hollywood stars. Murder, mayhem and a fascinating collision of different acting styles ensue. Peter Ustinov and David Niven are both charm personified while Angela Lansbury is so horribly over the top, she makes Bette Davis and Maggie Smith seem like masters of minimalism in comparison. The starriness of the cast sometimes threatens to overpower the story, but once the mechanics of Agatha Christie's plot kicks in (which takes about an hour), it's a very satisfying ride. Best of all, I guessed whodunnit! I'm now looking forward to watching John Malkovich's apparently very different take on Poirot in the BBC's ABC Murders before it disappears off of the iPlayer. All of Sarah Phelps's Christie adaptations so far have been brill. I never knew that! I'm going to try and track down a copy of What Price Hollywood? as I'm now curious to see how it compares with the various versions of A Star Is Born. But it's this little guy, Sunny Pawar, who steals the show. I totally agree. In fact I didn't really like Dev Patel in this film, not sure why, maybe because he was trying to be Australian when I'm used to only associating him with British or Indian roles and there must be many capable Asian Australian actors who have few opportunities to get lead roles in a major film. However, the scenes with the young "Lion" more than made up for the other limitations of the film. Yeah, although I thought Dev turned in a great performance, I didn't think he was right for the role either. But I think it was because in no way did his physical features make him believable as a grown up Sunny. So I found that quite jarring after the time jump and was preoccupied with it for the rest of the film. I think it was because in no way did his physical features make him believable as a grown up Sunny. I can't put my finger on why I didn't like him in the film but you are right about him being physically wrong. He was probably cast because he has a higher profile than many other south Asian actors of his generation rather than being ideal for the role. That said, he did a competent enough job. At the end of when they did they present time update, they showed a photo of the real Sunny and he was totally different to Dev Patel so Dev wasn't cast because of his resemblance to the real life character whereas could imagine the little boy growing up to look like him. This is all three of them together. 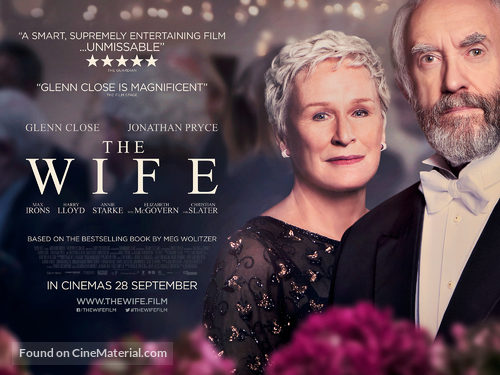 Last weekend I watched The Wife (2018). 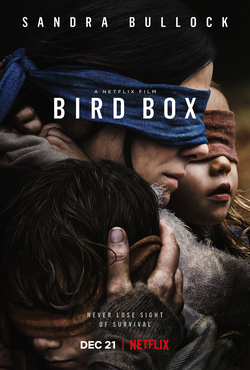 I thought it was a good film and Glenn Close was outstanding. Throughout the film she said so much by saying very little. The brilliance of her acting was in her reacting to other people and her face said volumes. I felt the same way about her performance in the final scene of Dangerous Liaisons in which she said nothing but said everything with her face. The Wife itself is a bit of a slow burner and felt a bit like a stage play. It might work better watched on a small YV screen rather than on a large cinema screen. I was half expecting dumb teenagers acting like adults but ultimately fail against marauding aliens. But I was pleasantly surprised. This movie has elements of "Close Encounters of the Third Kind". A line from the novel that leaps out of the newer version, "It is difficult for a woman to define her feelings in a language chiefly made by men to express theirs," doesn't appear at all in the earlier one. Though I do love the 2015 version (and the novel, and Hardy in general) your post made me want to go and find the earlier version. But that line...it would take Lacan-school psychologists many decades to figure out what Hardy had expressed crystal-clear back then. Oh my, this was stressful. It reminded me a bit of a Weeping Angels episode of Doctor Who ("don't look" instead of "don't blink"), or a big budget episode of Torchwood with all the annoying bits taken out, or seven years of Lost distilled into two hours, or a later era X-File without Scully or Mulder. John Malkovich is great as a misanthropic drunk, which makes a nice contrast to Sandra Bullock's innate perkiness. It's strange -- even when Bullock's playing dark and edgy and apocalyptic, there's still something inherently perky about her. I think it's her voice. I haven't watched it yet, but the premise reminds me of the much underrated The Happening (2008). Evil or spooky stuff caused by places, nature or buildings is often more creepier than monsters or evil humans, imho. Those evil forces have nothing to loose, besides, how does one defeat a forest or a mansion? On the other hand, when mankind does find a way to outsmart them it feels less satisfying, so maybe it's better to end these stories with an unhappy ending. Was there really nothing else to watch? Well, there was also the 1994 version. But I thought it may be a bit too racy for a Sunday evening. Or: what could have happened if Gary hadn't blown up Empire Valley. I watched Blackklansman yesterday and what a great film it is. 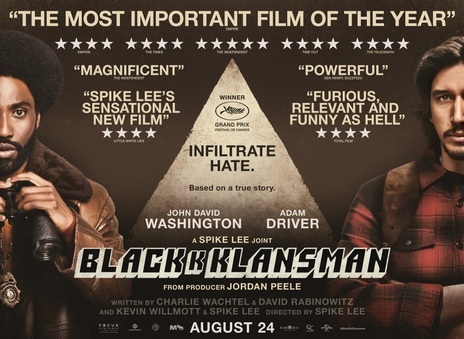 I'm not a massive fan of Spike Lee's work but I think this is one of his best films, skilfully mixing action and comedy while telling an important message. Amazingly, for such an incredible story, the film was based on a true story.